Web use has gone mobile in a big way. It’s impossible to deny the convenience of pulling out a smartphone or tablet when you want to know more about something. But how many times have you gone to a site on your phone and been frustrated by the experience of a design that just didn’t work? Did you look further, or did you give up and go somewhere else? 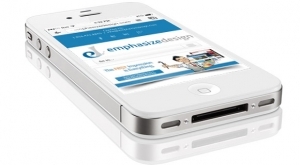 Your mobile strategy has to be a crucial part of your website design. Calgary business owners with an eye to the future understand that. But do you focus your attention (and your budget) on building a mobile app for your company or a responsive web design that works well across multiple devices? Just a few years ago, everyone was making an app, and there was good reason. A multitude of devices, screen sizes, and different operating systems to choose from meant web designers had a tough job trying to make a site look good and function properly regardless of the device. Mobile network access was slower, and it was difficult for even a great design to compete with an app optimized for a specific phone or tablet. In many cases, apps were quicker, easier to use, and tested better with customers. But as technology has improved, our devices and the mobile networks have gotten significantly faster. Times have changed, and so has the web. It’s no longer cost effective or beneficial for your business to focus on an app when a responsive website design is what you really need. Smartphones and tablets untethered us from the desktop. Since 2009, mobile use of the web has seen 1000 per cent growth. Improving customer experience with mobile website optimization has never been more important. With a website design focused on improving the experience for Calgary visitors on small screens by making your site more readable and load more quickly, you show your visitors that you value their attention and time. A few years ago the web limited what you could do on a mobile device. The development of web design and HTML 5 changed that, making semantic web design possible. Previously, the goal of HTML was to make it possible to get elements of a site on the web. HTML 5 makes it possible for those elements of your website to work together. Responsive design makes sites load faster and better, and it also improves visibility to search engines. A website design optimized for mobile devices means you can improve your SEO rankings—something apps can’t do because they aren’t indexed by search engines. So no matter how many customers might have been using an app, it wouldn’t help your rankings. By choosing to create a site optimized for mobile devices over an app also means if your company uses any pay-per-click networks, your customers will still see the ads. Designing your site to work well for mobile devices is more affordable than building apps. You no longer have to pay to build separate apps for each platform. Creating a new site design is much faster than working with a programmer to develop an app, and you don’t have to wait for your website to get approval from Google, Apple, or anyone else. Apps are a many-sizes-fits-some solution. Responsive design makes your site universally accessible from one URL. With a single responsive website design, your site is at the centre of your brand online where it belongs, and the experience is smooth and fast for all users. The key to doing business successfully on the Internet is adaptability. You need a website design for your Calgary business that can evolve and grow as the web changes. Regardless of the device—desktop, laptop, smartphone, tablet—at Emphasize Design, all of the sites we create are fast, responsive and easy to navigate. We offer a full range of design, development and marketing services, and we will even design your site for free.